The leaders of two of my favorite bands, Bruce Soord (The Pineapple Thief) and Jonas Renkse (Katatonia), released an album together earlier this year and it is definitely in my personal Top 10 for the year. Now, they have released this audio from their debut live gig July 2013, as they get ready for a European tour in December. Bruce Soord and Jonas Renkse perform 'Radio Star' at their debut gig at The Garage, London in July 2013 as part of Kscope's Five Year Anniversary Shows. WISDOM OF CROWDS is the new album from an exciting new project featuring Bruce Soord from The Pineapple Thief with Jonas Renkse from Katatonia. "Wisdom of Crowds is a jaw-dropping work of art..."
"...this is the sound of two supremely talented artists snatching magic from the ether." "A masterclass in dynamics and sonic experimentation from two incredibly gifted musicians within the progressive field." "...(Soord and Renkse) quarry some amazingly powerful, agile songs with their collaboration"
"...Soord demonstrates that he has become a serious songwriter"
"Soord created with nearly every song a small cosmos which is complemented by Renske congenial... an album that can`t be missed"
"...a fusion of the best qualities of the both frontmen... the melancholy of Katatonia... the airiness of Pineapple Thief... catchy from the first listen"
"For sure a candidate for album of 2013." "the resulting music is hypnotically sublime"
"...both a stimulating and mesmerizing listening experience." "It's the kind of music that would make a fine soundtrack to a long drive through the unending darkness of night." "A genuinely unique record, it is beautiful and melodic whilst still, unsurprising given the contributors, remorselessly dark." "An album of depths which lets the listener discover a lot of exciting details..."
"...nine extraordinary songs of fascinating melancholy..."
"The stylistic adventure succeeded completely" "keeps up with Renske`s main band when it comes to the songwriting." "a suprisingly versatile record, which will reveal its subtlety over time: a spendid album which requires a follow-up". 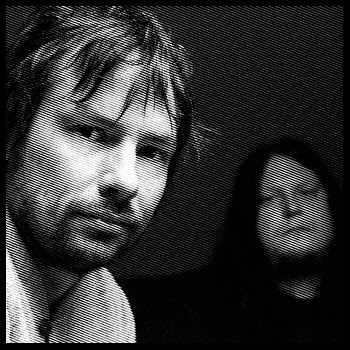 "Bruce Soord and Jonas Renkse star in one of the jewels of 2013"
Originally written with Renkse's voice in mind, Soord sought out the acclaimed Katatonia vocalist to complete the compositions and release the music to the masses. Despite the rigorous schedules of The Pineapple Thief and Katatonia, the two musicians were eventually able to connect. The Pineapple Thief have just completed a successful European tour following the release of their latest album, All The Wars in September. Rocksound described All The Wars as "an album of Muse-like, slow burning guitar anthems", while Classic Rock stated it was "the sound of a band reaching the height of their powers" and Prog argued it was an "elegant, sophisticated work... moody and meaningful, introspective and universal." Katatonia also released a new album last year. Dead End Kings was released on the Peaceville label in August and reinforced their position as "one of the most consistently fascinating bands in modern heavy music." (Metal Hammer, 9/10). The album featured heavily in the album of the year polls of magazines around the world and was also nominated for a Grammy in the band's homeland of Sweden.